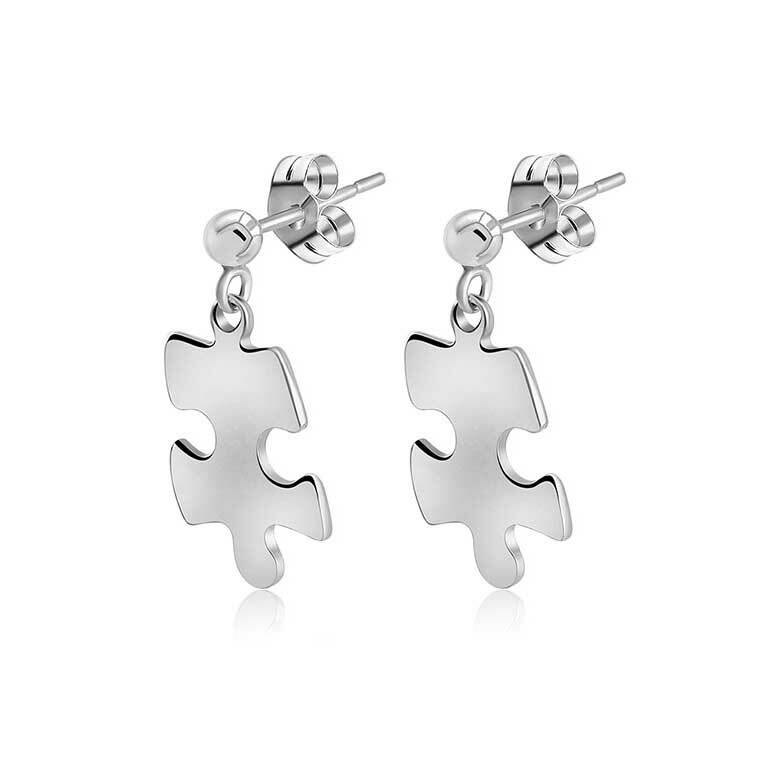 These elegant silver earrings in the shape of a jigsaw piece is the perfect way to express a variety of feelings as well as achievements and stages in life. It is so versatile with its meaning: expressing love, emphasising on important part of your life or just admiring the puzzles. Did you know? The puzzle piece is a symbol for autism - and we love it. For us, it's a wonderful way to embrace everyone's differences while acknowledging that we're all part of the same big picture and we are interconnected. That makes it a fantastic gift for someone you love who's part of your bigger picture, or a way to showcase your support and raise the awareness. Ultimately, it's a hugely versatile symbol because it's you who gives it the meaning.